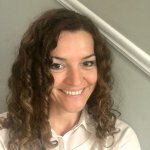 Christelle Macri is the founder of Ebizpromotion, a leading SEO agency in Berkshire, with a no-nonsense and ethical approach to digital marketing. She is also search engine consultant with over 17 years experience in the internet advertising industry. Having worked for a major search engine and pioneering pay-for-performance advertising networks, she offers professional SEO services that turn her clients’ websites into consistent revenue streams, using a variety of digital channels.